I don't know about you but the best part of my day when I get in the door is when I can finally take my bra off right through my sleeves. Sometimes it happens as I am walking up the stairs. Sometimes in the kitchen as I am making a snack and sometimes I do it the normal way, by taking my shirt off! Wearing a bra is uncomfortable. They either feel too tight, too low, cut me in the wrong place or just hurt. UNTIL NOW! Introducing the Coobie Seamless Bra! Coobie Seamless Bras are The World's Most Comfortable Bras! 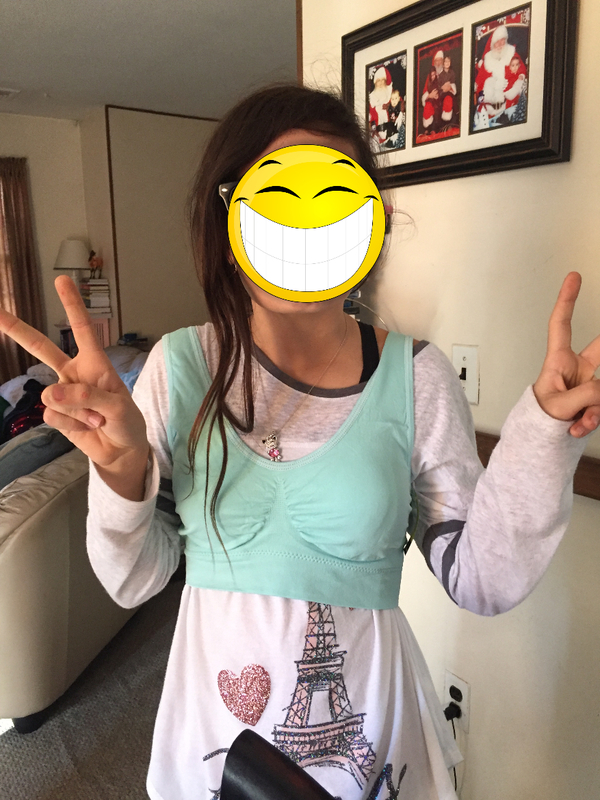 Now, I am not going to show you a picture of me in a bra but my crazy baby was willing to model one for you'll. The bra is a large and while she would be a small it fits her as well as it fits me. Coobie has a bra for all tastes. Whether you like sport, lacy even nursing. They are like wearing a tight t-shirt. I feel supported and pretty but more importantly, I feel comfortable. I have forgotten to take my bra off twice until it was time for bed. I love that there is no clasps or weird, metal cups. This is a perfect bra.